Whether you have experience in programming or are looking to get started for the first time, this workshop will put you on the fast track to honing your python and data analysis skills. In this bootcamp you’ll get hands-on programming experience in Python that you'll be able to immediately apply in the real world. The workshop will cover the fundamentals of Python and several tools used in data science. This is a very practical and hands-on workshop that has lots of class exercises. 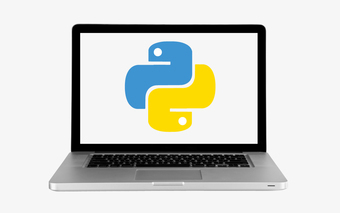 You'll build your own library of Python scripts that can be reused after your done with the course. You must bring a laptop with a text editor. Sublime Text is recommended and has a free trial version (http://www.sublimetext.com/). In addition, students should install Anaconda, which is a free package that includes python and a number of tools that will be used in class (http://continuum.io/downloads). You’re following Python and Machine Learning Bootcamp Series.